As the first in a series of vocational talks, Ryan Riell discussed his work in San Diego real estate with the Wannebo Real Estate group. Vocational presentations will follow a similar structure: (i) Why the speaker chose his/her career path; (ii) The most rewarding/difficult aspects of their vocation; (iii) Impacts of technology; (iv) Trends, opportunities/challenges; (v) Ethical issues; and (vi) Advice for those looking to enter the vocation. Ryan entered the real estate profession because he wanted to help people solve problems and navigate one of the biggest purchases they will make- a home. He noted that over 93% of new agents wash out in the first year of this “learn-as-you-go” profession. Technology has definitely impacted real estate with the advent of the multiple listing service (MLS), which gives equal access to those in the housing market, but can also serve to drive up prices and increase competition among both buyers and sellers. From an ethical perspective, all agents have a fiduciary obligation to act in the best interest of their clients, regardless of how those actions affect other parties involved in the transaction. 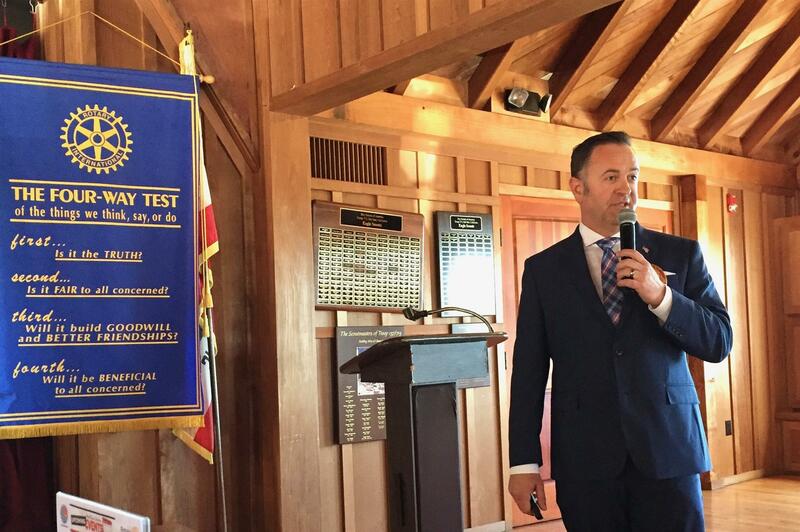 Ryan gave a brief snapshot of the Del Mar/Carmel Valley market. The current median price for Del Mar is $2 million, up by $185,000 relative to 2018, whereas the median price in Carmel Valley is $1.055 million, also up by $185,000. The Days on Market for Del Mar and Carmel Valley is 36 and 21 days, respectively, and the Months of Inventory is 7 and 1.6 months. If >7 months represents a Buyer’s market and <4 months a Seller’s market, Del Mar is currently slightly favorable for buyers while sellers have the advantage in Carmel Valley. Ryan said that new agents should consider joining in with a team who can provide valuable insights into the workings of the real estate business.